Throughout the years, a number of betting systems and strategies have emerged, each one attempting to provide players with an efficient plan which will help them accumulate more winnings. The games that require skills such as blackjack, are the ones that offer you the valuable opportunity to win them by implementing a plan. If you want to become a consistent winner while playing blackjack and make a profit, then you should learn a reliable strategy for your moves and a betting system for your wagers. Also, it is really important to follow an efficient money management plan as this way you will be able to retain your profit successfully over the course of time. Players who place their bets randomly and act according to their current mood are bound to spend their available funds in no time. 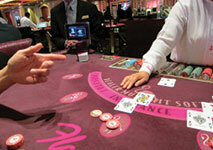 One of the most famous systems that is used by a number of players worldwide is the so-called Martingale Betting System. It is a very interesting strategy which aims at increasing the amount of your winnings. In order to determine whether this system is truly beneficial, let’s have a look at its main principle and its pros and cons. The Martingale Betting System is said to be one of the oldest betting strategies in the gambling world. It is believed that it was invented in France, however it got its name from a famous British casino owner Mr. Henry Martindale in the 18th century. Even though he wasn’t the person who had come up with this betting system, it was named after him because he made it popular by promoting it among its casino clients. The exact origins of the game remain unknown and gaming experts still haven’t come to a final conclusion in regards to this matter. The Martingale Betting System is one of the oldest and most popular strategies which is a negative progression betting system, meaning that you are required to increase your bet when you lose and vice versa, decrease it when you win. This is the main principle on which the betting systems of this type are based. It is really just a matter of adjusting your bets accordingly in order to follow its plan. The main concept behind this system is that there is little likelihood that you will lose many hands in a row. This strategy suggests that at some point you are bound to win and when this happens, your bet will compensate for all of your previous losses. The Martingale Betting System is very easy to learn and it is a strategy that can be used in many table games, including blackjack. Just like other famous betting systems, this one doesn’t aim at overcoming the house edge. Martingale system focuses on helping you make better betting decisions on the table and this way, win more in the short term. This betting system is really easy to be understood and applied. Whenever you lose a hand, you are required to double your next bet. In case that you win, you should start from the beginning and place your base unit. It is entirely up to you to set the amount of one betting unit as the size of your bet should correspond to your bankroll for the day. In general, it is recommended to start the game by placing a small wager as this betting system is considered to be very risky as it can consume your funds in no time. In order to illustrate best how the system works, let’s have a look at the following situation. Let’s assume that you have decided that one betting unit will be $5 which is your initial wager. You start by placing a $5 bet and the size of your next wager will be determined by the outcome of your hand. If you win, then you are required to put exactly the same amount – $5. However, in case that you lose, you need to put a wager that amounts to $10. If you continue lacking luck and losing, then your next bet is supposed to be $20. Let’s assume that the worst case scenario occurs and this unfortunate trend continues. You have lost two more consecutive times and thus, you have doubled your bets twice – $40 and $80. Then, your strategy finally starts working and you win one hand. In this situation, you are ahead with your winnings as you have managed to make a small profit. The Martingale Betting System has several variations which use the same concept as the original strategy. Some of the most widespread versions are The Anti-Martingale, The Mini Martingale or The Grand Martingale System. The first of the above-mentioned systems is also known as The Reversed Martingale System and the difference between this version and the original system is that instead of doubling your bet when you lose, you are required to do so when you win. The Mini Martingale System is a variation which aims at preventing players from placing huge amounts for their bets if they are on a losing streak. In brief, it imposes a limit on the maximum amount of wager that can be put as its main goal is to make the system more moderate. With this variation you will lose your funds much slower than if you apply the classic Martingale System. The Grand Martingale is another very popular version which requires you to double your bet when you lose, however this time you have to also place one extra unit. The main idea of this version is to help you generate a bigger profit when you win. However, it is just as extreme and risky as the classic system and thus, it is not recommended. One of the biggest advantages this betting system has is that it offers blackjack players the chance to make a small profit over a short period of time. Due to the fact that you are required to double your bet every time you lose, once you win, the amount you’ve wagered will compensate for all of your previous losses and you will even get a small profit from it. Even though at first glance the Martingale Betting System looks brilliant, it has some major flaws which should be taken into account. In theory, if you are able to double your bet when you lose, you are guaranteed to always win at some point and get back all of your funds plus a small profit. However, in reality this is not the case. One of the main disadvantages of this system is that it is a rather risky one due to the fact that it can cause you to lose all of your money in no time. If you happen to lose many consecutive hands, you will quickly run out of money which will render you unable to place your next bet. This way, you will also reach your loss limit faster or you won’t be able to place the minimum bet that every blackjack table requires. This is one of the main reasons why the Martingale Betting System is considered efficient, but only in the short term. 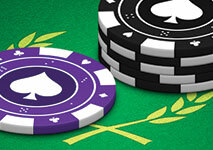 If you are an avid blackjack player who likes to immerse in long sessions, this system is perhaps not your best choice. In general, it has been estimated that the longer you play with this system, the higher your chances of losing are. This system has proven to be very efficient over a short period of time, however on the condition that you can stay long enough in the game in order to win a hand. The Martingale Betting System is one of the oldest and most used systems of this type. It can be very efficient, if you play blackjack for a couple of hours, however for longer periods of time, it has proven to be rather disadvantageous. In short-term sessions, this betting system can be indeed a great way to make a small profit and walk out of the casino as a blackjack winner. If your available bankroll is fairly limited, perhaps it is best to refrain from using this system. In most cases, the players who don’t have the funds to stay long enough in the game in order to win are bound to lose all of their money and leave the casino with empty pockets. In general, all negative progression systems are considered risky due to the fact that they require to increase your bet while you are losing.